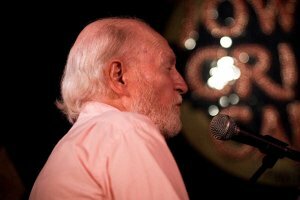 The amazing Mose Allison !! My favorite Mose Allison song would have to be “Everybody’s Crying Mercy” But the first one that really got me was “Parchment Farm” !! Check out Greg Browns fantastic Ode to Mose below……….. But as I set up I am proud to be here, Because once last November, Mose Allison played here.